We specialise in upholstery foam cushions cut to size for your sofa. 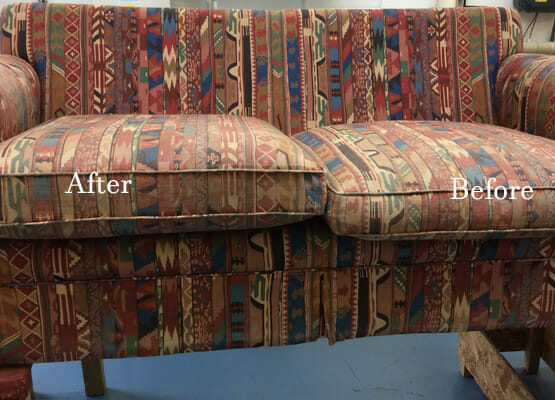 We can give your sofa or chair a new lease of life. Whether you have foam cushions that have lost there ‘oomph’ or you’re fed up with having to plump up your cushions every so often we can fix that professionally. We specialise in supplying replacement foam cut to size for sofas, chairs, settees, cushions and couches. We’ve supplied plenty of churches and other places of worship with high-quality church pews and kneeler cushions. We can pick up and deliver back to your door. We’re ideally suited for customers in East Lothian including Musselburgh, Portobello, Haddington and Edinburgh. New foam cushions can give a old piece of furniture a new lease of life. We can dacron and stockinette wrap your foam and will transform your seating. We can cut and shape to the size needed, depending of the furniture. When you get new foam cushions they can make your sofa look brand new also with adding extra comfort. New foam cushions can prolong the life of your sofa cost effectively. Broken or stretched springs in sofa seats are uncomfortable to sit on. If you find that the springs on your sofa have flattened you might need to replace them. 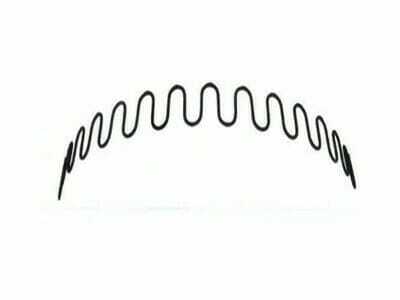 Serpentine Zig Zag springs can be replaced or refitted, and you will see an immediate difference to your sofa. A sofa’s webbing is an important part of the furniture as it holds the foam cushions in place and supports the whole chair. 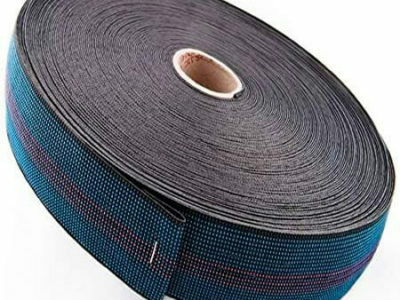 We are specialists in re-webbing all types of chairs and sofas using Pirelli webbing. 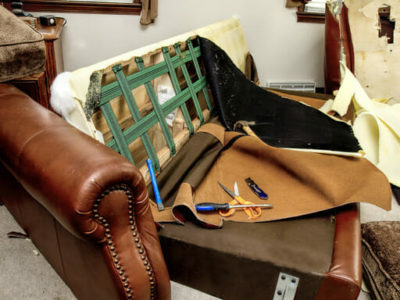 If your chair or sofa needs structural repair we can do all types of frame repairs. Broken sofa legs or arms can be replaced using quality wood. We also have a selection of wooden furniture feet for added stability. Give us a call for a free estimate on 01875 898 306 Or Email Us With Your Sizes L x W x T.
We recover, repair and re-fill all types of furniture from our base in Prestonpans.